During Microsoft Inspire in July 2017 the Microsoft leadership team announced their new commercial direction. By words of Ron Huddleston, Corporate Vice President, the One Commercial Partner (OCP) organization was announced. 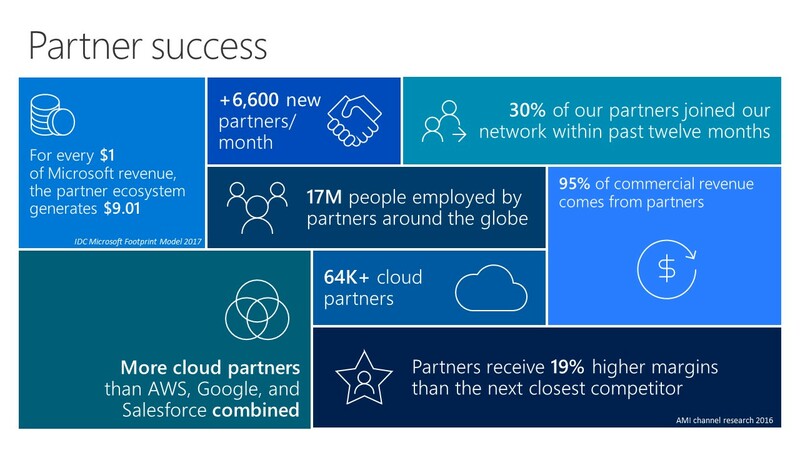 One Commercial Partner is putting partners first in solutions build around Microsoft technology with a 4,5 billion dollar opportunity amongst 64,000 Microsoft cloud partners worldwide. The new Microsoft commercial thought is building solutions with partners, go-to-market with those solutions and co-sell the solutions to customers. As a partner, to be able to do so you must have a solution with your own Intellectual Property or your own unique services around Microsoft technology. A solution Microsoft is willing to enclose in their OCP Catalogue, the overview and presentation of partner solutions the Microsoft commercial team will promote and sell to their customers, with partners. Do you have an unique and outstanding solution or service build around Microsoft technology? Then you are good to go. But if you have doubts, or want to design and build a brand new OCP ready solution which puts you head and shoulders above the competition, you might want some guidance and help. Specially for those Microsoft Partners we at Quexcel have designed our Microsoft OCP Catalogue Ready Framework. How to get your solution in the Microsoft One Commercial Partner Catalogue? 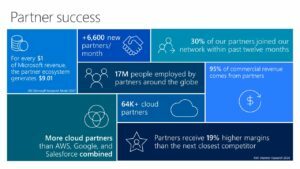 To be able to help you we need to know all about your company as a Microsoft partners. Your area of expertise, your experience, your learning paths, solution areas, history, future goals and so much more. Besides that, we need to learn more about your current and future customers. This session will take a half day. During a half day workshop with business and technology staff of your company we will peel of the onion until we are at the heart. We will use a series of proven marketing communications techniques, put your team at work and together find the unique proposition. This is the basis for building your OCP solution or service. Our consultants will perform desk research on your competitors, markets, target audiences (always more than just one …), opportunities and threads. We will (anonymously) discuss the heading with business development teams at Microsoft. Based on all the information gathered creative minds will design your outstanding value proposition. On top of that, we will setup a go-to-market plan based on best in class marketing and communications experience. In a half-day session we will present the results with your leadership team (and please let us invite your Microsoft Business Development Manager also….) and discuss next steps. In the end, the only desired outcome is to get your (brand new) solution or service in the OCP Catalogue so you will be successful in the future. Quexcel will make it easy for you. We provide the Microsoft One Commercial Partner Catalogue Ready Framework, with all the services, our knowledge and experience for a fixed price for registered Microsoft Partners. How cool is that? The price mentioned is all inclusive (including travel expenses) but excluding applicable local taxes like VAT. Do you want to be successful with Microsoft? To be able to be successful you will need your solution in the Microsoft One Commercial Partner Catalogue. Off course you can do it all by yourself. This will ask a lot of resources, ask a lot of time of your staff and in the end will cost you a lot of money. Or you simply go for the knowledge, experience and strategic Microsoft contacts of Quexcel. Contact us for more information or to order your Microsoft OCP Catalogue Ready Framework.